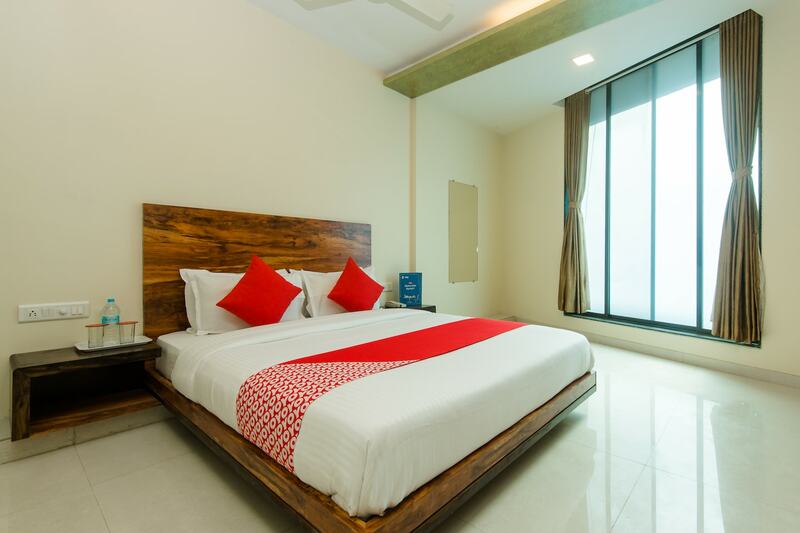 Hotel Sai Comforts is a beautiful hotel with a comfortable appearance that attracts people to come and stay there. The bedrooms at the hotel have simple light colored walls and dark wood furnishings, keeping the ambience of the room bright and warm. The rooms have large windows that let the sunlight stream in freely. The cove lights in the ceiling feels impressive and keeps the room well-lit. The hotel provides its guests with free Wi-Fi and power backup so that they may remain connected with the rest of the world. Other amenities offered by the hotel are a geyser and a card payment option.